A favorite of Tony Bennett, pianist for the likes of Stanley Turrentine and Terell Stafford, and long-time faculty at Temple University, Bruce Barth has been described as “a force to be reckoned with ” by trumpet king Terence Blanchard. 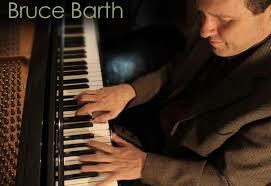 The Dunsmore Room at Crooners Lounge will host Barth and his trio on Monday, February 6. It’s been a while since Barth was in the Twin Cities, most recently with the Terell Stafford Quartet and vocalist Rondi Charleston. For his Dunsmore Room debut, Barth’s trio includes young bassist Dave Baron and young veteran drummer Montez Coleman. A native of Pasadena, California, Bruce was born into a musical family and started banging on a piano as a toddler. Skilled at playing by ear, he started lessons at age 5. 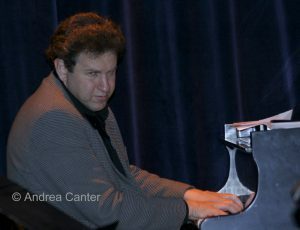 When his family moved to New York when he was 8, he continued piano studies with Tony and Sue LaMargra through high school. Introduced to the music of Mose Allison when he was 15, Bruce was inspired to teach himself to play jazz, later studying with Norman SImmons and Neil Waltzer. He went on to the New England Conservatory of Music in Boston where he studied with Jaki Byard, Fred Hersch and George Russell, making his first pro recording on Russell’s The African Game on Blue Note. In 1988, Barth joined the New York jazz scene and began a collaboration with the famed tenor saxophonist Stanley Turrentine, working with him for the next ten years. He also toured Japan with Nat Adderley and Europe with Vincent Herring’s quintet with Dave Douglas. He began his association with Terence Blanchard in 1990, touring and recording with Blanchard’s Quintet as well as movie soundtracks, and in 1992, played piano on-screen in Spike Lee’s Malcom X.
Bruce recorded his first CDs as leader for Enja — In Focus (1993) and Morning Call (1995), which were named to the New York Times top ten of the year lists. His 2001 release, East and West (MaxJazz), was lauded by Stereophile as “one of the best jazz albums in recent memory.” It featured an all-star septet playing Bruce’s compositions based on his childhood memories of the western United States, with its deserts, ranches and ghost towns. 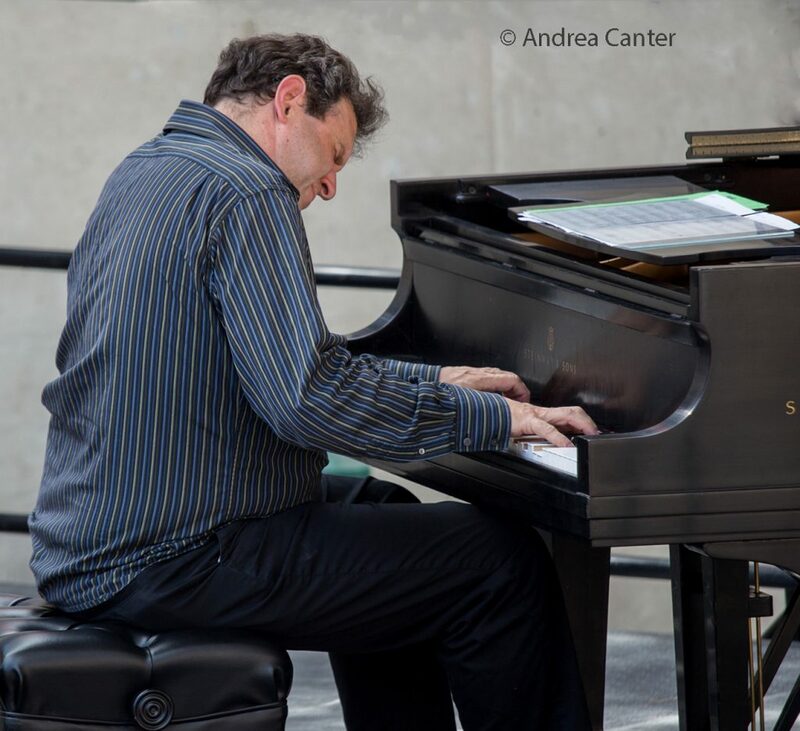 Bruce continues to compose extensively for that septet, which has appeared at major jazz clubs in Manhattan including The Jazz Standard and Smoke, as well as at many European jazz festivals. Frequent collaborators and band members have included Adam Kolker, Tim Armacost, Scott Wendholt, George Robert, Dave Stryker, Carla Cook, Paula West, Rene Marie, Brad Leali, Sam Newsome, Luis Bonilla, Doug Weiss, Vicente Archer, Ed Howard, Ugonna Okegwo, Montez Coleman, Dana Hall, Adam Cruz, Pat O’Leary, Dayna Stephens, Chris Lightcap, and Rudy Royston. Over his career, he has also worked with Tony Bennett, Terell Stafford, Steve Wilson, Luciana Souza, Karrin Allyson, David Sanchez, James Moody, Phil Woods, Freddie Hubbard, Tom Harrell, Branford Marsalis, Wynton Marsalis, Art Farmer, Victor Lewis, John Patitucci, Lewis Nash, and the Mingus Big Band. Bruce Barth served two years on the panel for the U.S. State Department “Jazz Ambassadors” program, choosing jazz bands to represent the United States overseas. He is also a Grammy nominated producer, with more than twenty CDs to his credit. And a dedicated educator, Bruce has served more than a decade on the jazz faculty of Temple University in Philadelphia, and has taught the Berklee College of Music, Long Island University, and privately through City College University and New School in New York. Bassist Dave Baron powers the rhythm sections of some of the world’s top ensembles, and has supported such jazz luminaries as Herbie Hancock, Eric Reed, Peter Bernstein, Joe Magnarelli, Bruce Barth, Joe Lovano, Mary Stallings, Jimmy Greene, and Bill Evans (saxophonist), among others. Dave first heard jazz on the car radio while riding in his dad’s car to deliver newspapers. He studied classical cello in his teens, but his interest in jazz drew him to the upright bass and the Greater Hartford Academy of Music, where he became a protege of saxophonist Jimmy Green. Green introduced him to bassist Reuben Rogers. Dave enrolled at the Eastman School of Music where he earned his undergraduate degree, and then he went on to graduate studies at Juilliard where he studied with the great Ron Carter. 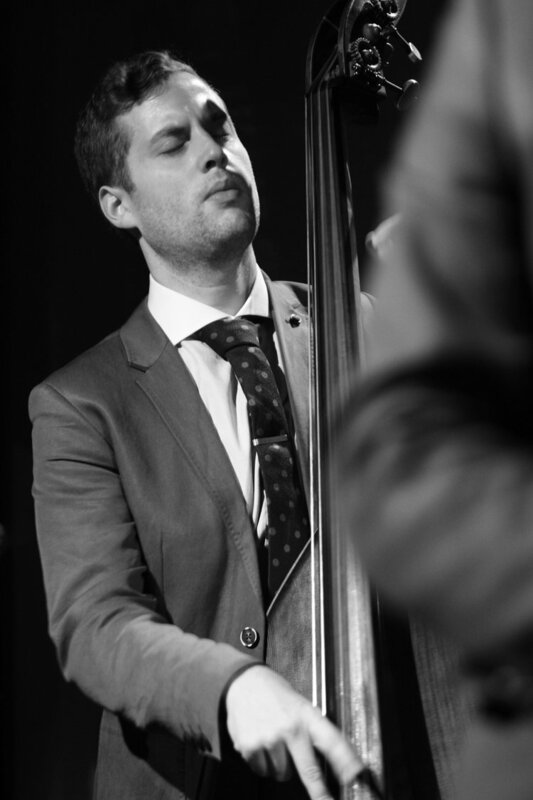 He went on to be a semi-finalist in the Thelonious Monk International Bass Competition and was runner-up in the International Society of Bassists’ Scott LaFaro Jazz Competition. His debut album Introducing Dave Baron was released on OutsideIn Music in 2015. 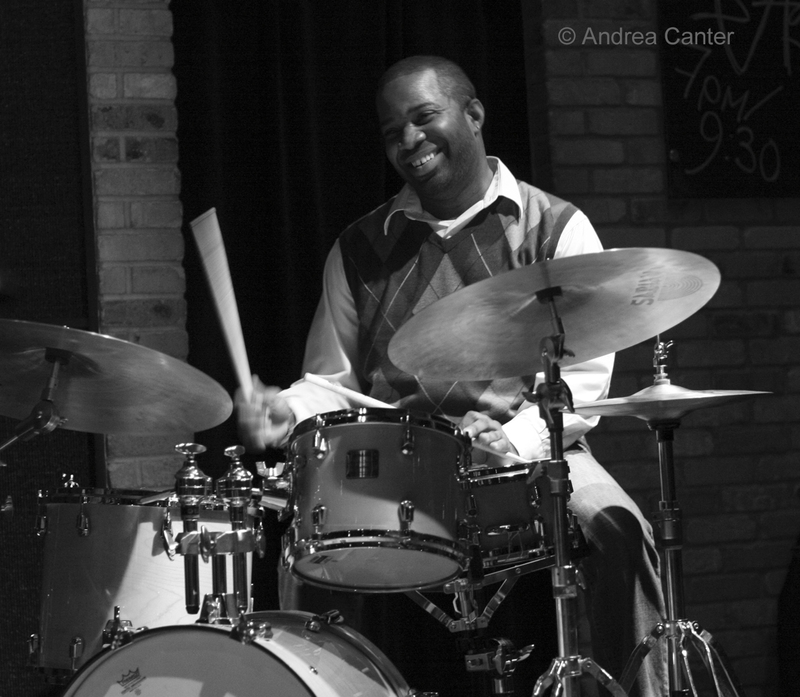 St. Louis native Montez Coleman has been a significant force on the New York jazz scene. Coleman is best known for his work with guitarist Russell Malone and trumpeter Roy Hargrove. During his tenure with Hargrove’s Quintet (2005-2011), Coleman also performed with Rufus Reid, Bobby Watson, Wynton Marsalis, Bruce Barth and Gerald Cannon, and was regularly featured in The Roy Hargrove Big Band. Currently Coleman leads his Generations Sextet featuring saxophonist Houston Person.